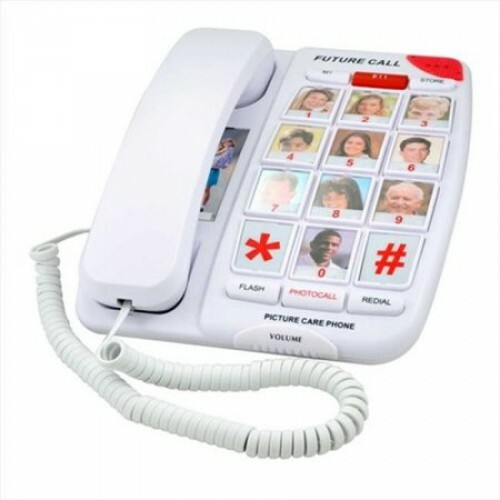 This amplified picture phone allows you to program up to 10 memory picture buttons, which eliminates confusion that may come along with remembering phone numbers. It also has an emergency button for quick and easy dialing in the event of an emergency. The large memory buttons are easy to read and allow you to dial the person you wish to reach with just two easy key presses. Can this phone be purchased at a retail store? The manufacturer currently does not have information regarding retail store locations.